Our first night in Granada! We booked a hotel in Granada for two days over Danny’s birthday. Our hotel was lovely and very central to everything! We took a walk on the first night and headed towards the cathedral. 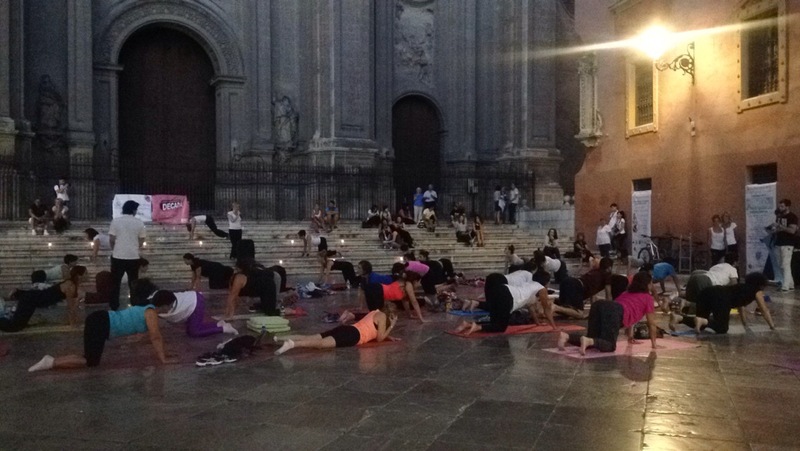 Outside there was a large group of women all doing yoga by candle light, everyone in Granada seemed incredibly sporty! We stopped for a drink and tried some tapas, at the next bar we were given more tapas for free! We decided we would have tapas for dinner on Danny’s birthday and explore more of Granada.